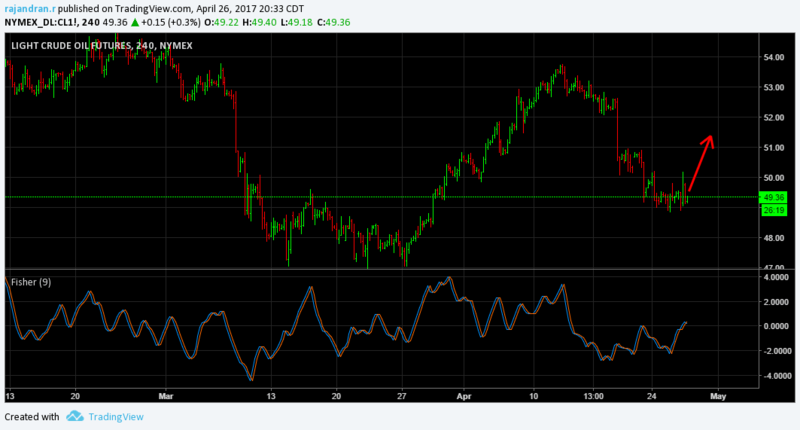 Nymex Crude is showing a short term consolidation on the hourly timeframe with divergence witnessed when fisher transform is applied over the chart. 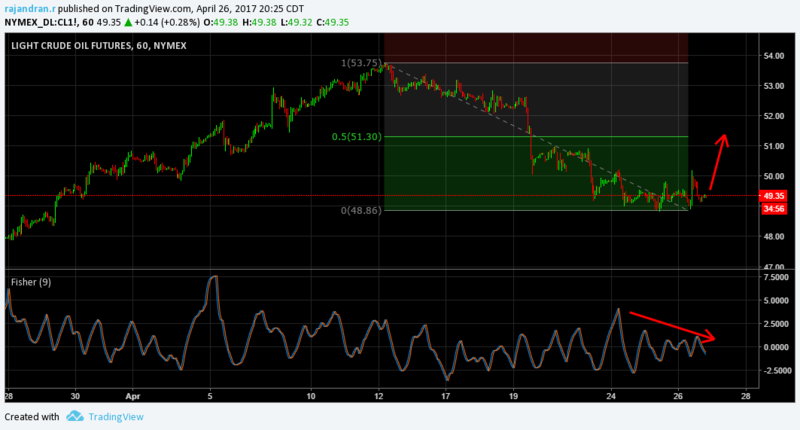 Daily Trade Sentiment turned positive which could bring imminent short term up move. 4-hourly charts shows a positive uptrend and the fisher transform sentiment as well rising and positive which indicates momentum in progress and only a sustained move below 48.80 could change the trend back to negative. Until then a sideways to upside moment is expected to continue in the short term.50% retracement for the current downtrend leg comes around 51.3 (approx) which is the ideal focus on the upperside.